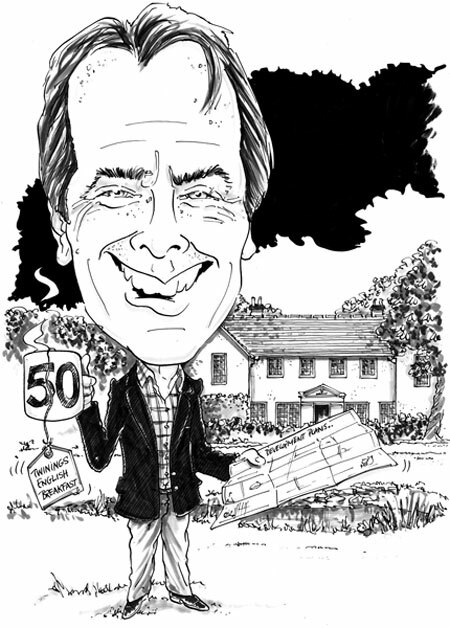 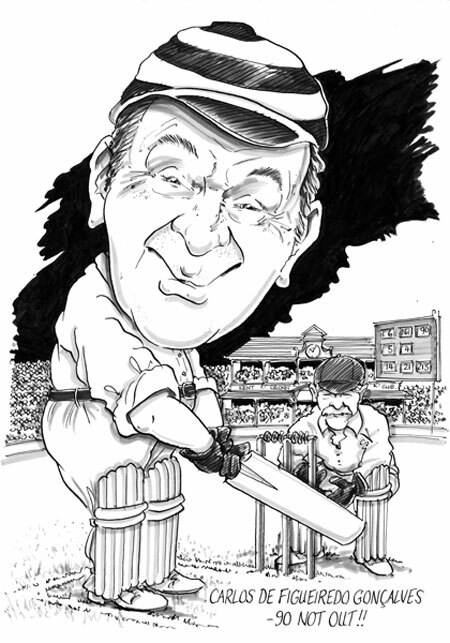 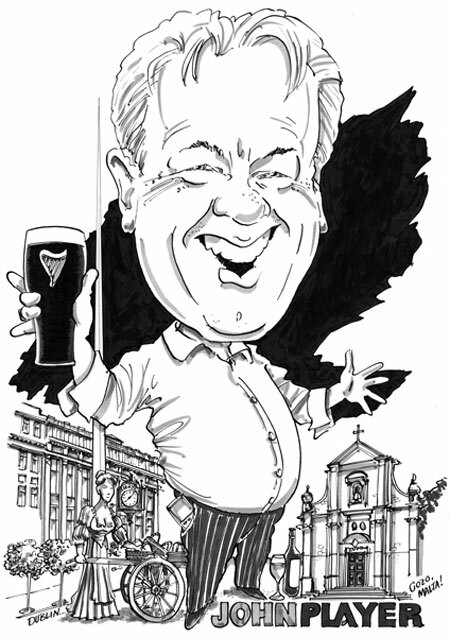 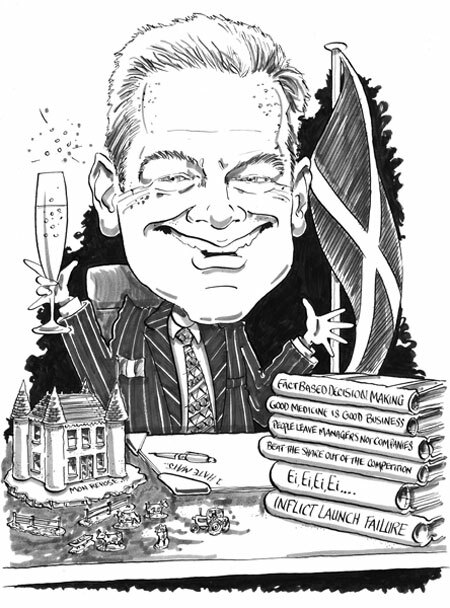 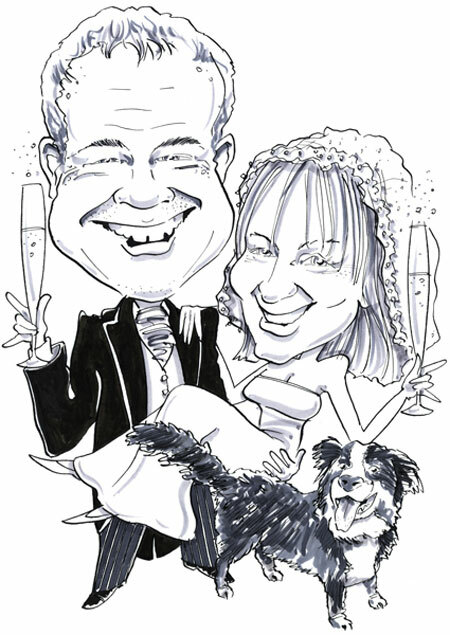 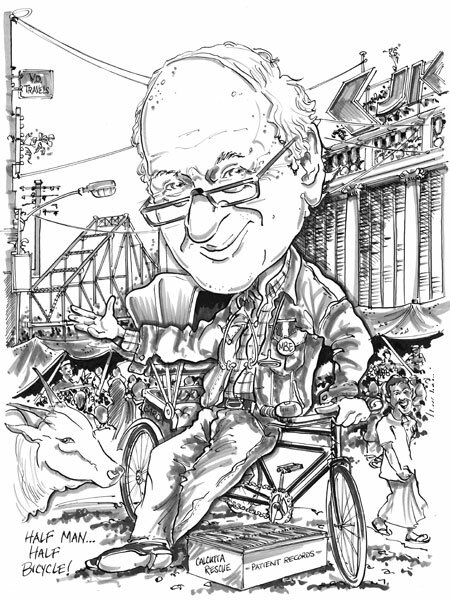 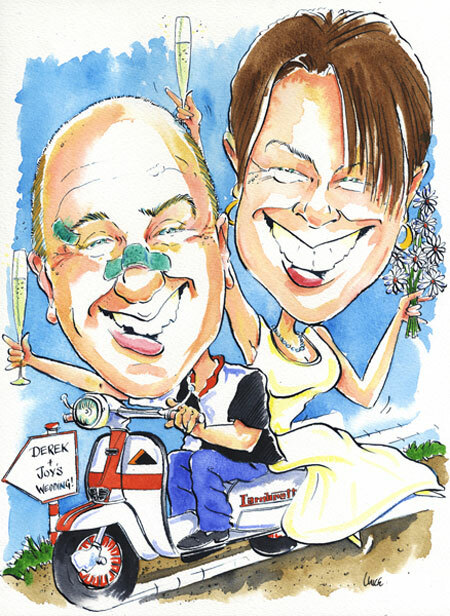 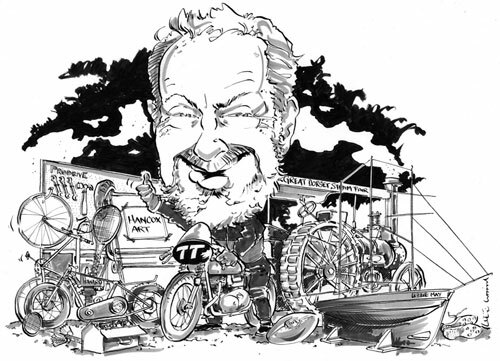 Mark is an award winning Irish cartoonist and caricaturist who has been drawing professionally since 1990. 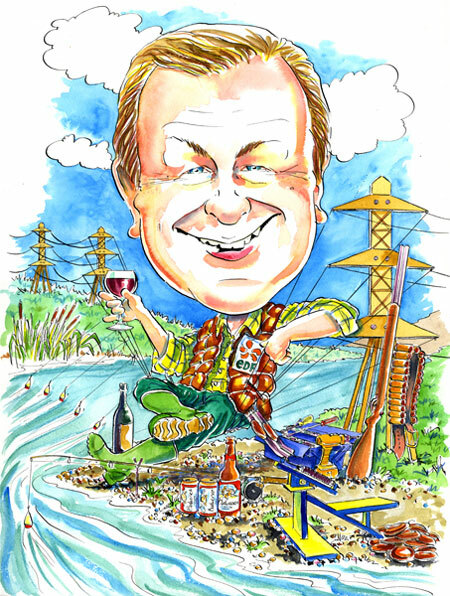 He started off as a civil engineer drawing in his spare time and in 1985 was joint winner of a cartoon competition run by the Guardian newspaper and Granada TV. 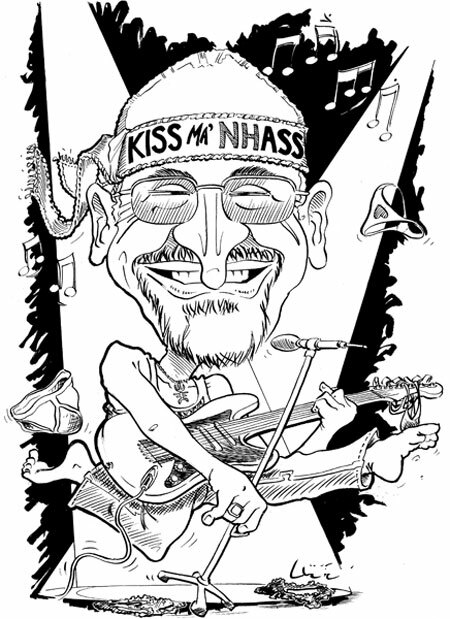 It was while working on water projects in Botswana that he had his first major break with the weekly publication of his social and political strip 'Fence Sittin' which ran for over 2 years in Mmegi newspaper and was the joint winner of the 1991 Botswana Press Trust award. 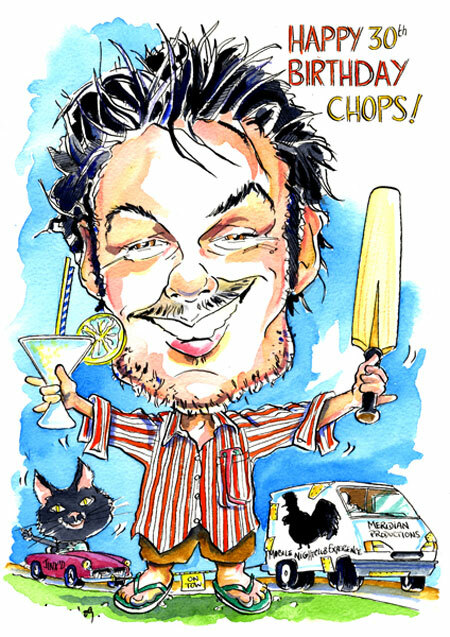 In 1992 he moved to London, and over the next ten years built up a body of cartoon and illustration work with the Financial Times, The Irish Times, The Press Association, the Times Higher Education Supplement, The Sunday Business Post and the Evening Standard amongst many others. 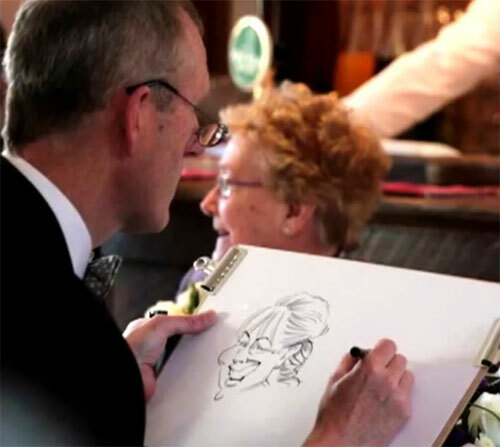 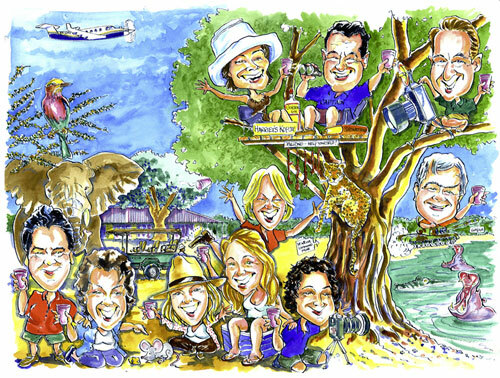 He moved to Devon in 2003 and since then, based in his purpose built studio, now mainly works as a caricaturist throughout the south west - in fact even as far south west as the Caribbean for P&O Cruises! 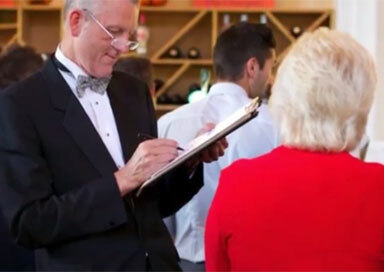 He won the Best Entertainment Award at the West Country Wedding Awards, won the Judges Choice Award and was also shortlisted for the Service Excellence Awards by the Federation of Small Businesses.